This year’s Fanfest left me with the most ambivalent feeling among the five I have been to and the many presentations I have watched from those I didn’t attend. The opening keynote struck an almost melancholic note with me, and I was not the only one who got that impression. “I almost expected Hilmar to end the speech with the announcement of his resignation.” and “That came across like one of those I-still-love-you-but… breakups” were just two of several impressions given to me by others I have talked to. Of course, such things are subjective, and a certain degree of nostalgic despondency can be expected with landmark anniversaries like celebrating 15 years of EVE Online. There were other indicators though, which showed more objectively that not all is well and good. I will come back to those. 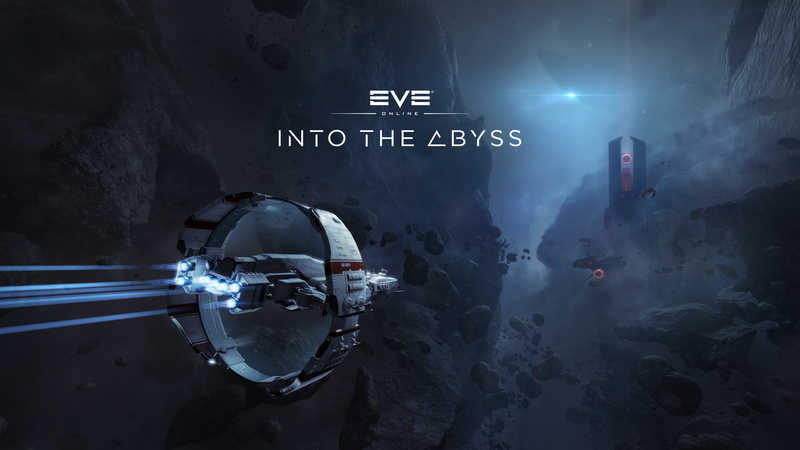 On the other hand there was palpable enthusiasm and engagement that showed how the EVE community and the game is still going strong and moving forward. Often CCP’s grand reveals and presentations fuel this feeling during Fanfest, but this year it was very strongly carried by players themselves and direct engagement. Streamers were featured literally front-and-center because their booth was set up right where you came in. The EVE-NT crew had one room fully dedicated to their tournament show which they managed to pull off with a combination of wit and competence that delivered a great experience. CCP themselves put some of their artists out in the open where they demonstrated their craft while interacting with players. There was a whole cadre of player volunteers fulfilling all kinds of functions here and there to great effect, and yet something seemed off. Those volunteers were like a fulcrum to that nagging impression. In the past, the functions they now fulfilled had been covered by CCP people or locally hired personnel. Considering that the last round of layoffs had hit the community team among others, might it be that the capacity to run everything without help from players is not there anymore? We were told that a large part of this year’s alliance tournament will be run by EVE-NT. Nothing wrong with that, I am sure they will do a great job. However, it is also telling, considering that CCP Logibro is no longer with the company. He was a central figure for the organisation of the event, and capacity from within CCP to run the Alliance Tournament had been lacking already. A sense of nervous uncertainty developed which gave rise to speculation about the competition’s immediate and mid-term future. Unlike other years there were also places of gaping emptiness in Harpa much more than I had seen before. Of course, after the bustle of last year’s Kyonoke Inquest event, it would be unrealistic to expect the same level of activity and diversity of experiences, but in all five years prior to this one, there had been hangouts, areas to test CCP’s most recent project-in-the-making and other diversions. This year, one main hall was entirely taken up by the EVE-NT Caldari Corporation Cup, and another one was dedicated to a history exhibition and functioned as a hangout, but that was basically it apart from the usual staples and the two booths mentioned above. Most notably there was no Project Nova playtesting area I ever became aware of, despite CCP Hellmar’s announcement that it will be released on PC this year. There was no presentation or roundtable involving Nova either. In the past CCP would proudly present artwork and development effort for things that never even materialised – like World of Darkness, Project Legion or the ill-fated Walking in Stations – this time they didn’t even get past the keynote mention of a major new release. Valkyrie, Sparc and Gunjack have of course been discontinued as of 2017, but the games themselves still exist. I would find it surprising if CCP didn’t still have the equipment for playing them somewhere in storage. Why not set aside a small area for those? Specifically when the main theme of the event was the anniversary. Is there so much anguish and apprehensiveness about the less successful endeavours of the past that CCP is ashamed to remind us or themselves of them? Again, the conclusion that seems the most obvious is, that CCP lacks the people and the means to feature all those things at Fanfest. It was noticeably “emptier” than before, and not only because of a comparatively lesser level of general attendance. With true CCP talent for unfortunate timing, this threadbare showing at the event also coincided with the announcement that there will be no Fanfest at Harpa in 2019. True to their nature, the player community partially reacted with speculation about the end of days or with smirking sarcasm. The reason for the break is actually a lot more prosaic. It has been indicated to me that the Harpa is suffering from maintenance problems which also get aggravated by major construction work nearby. That construction work already made the venue more difficult to access this year, and that problem is expected to become worse during next year. Apparently, the place is due for an overhaul. Potentially such an overhaul is also what is going on with CCP. Long-term players will have seen the company go through many phases including ups and downs, successes and blunders. There is clear evidence of a generation-change inside the company. Many developers that have been known to the public were absent from the stages this year. In most cases they have been replaced with others, often not as confident and practiced in public speaking. Still, new blood is flowing into the company. CCP Rise pointed out that the departure of developers is often getting the spotlight, but when new people come in, nobody hears about it. At least the balance and ship-design team has already benefited from that according to their own statements. Other aspects of the game have not benefited in that way. The lore and backstory effort is still a labour of love which a group of developers are committing with commendable dedication. For example, you might not be aware of the fact, that the Scope News videos which appear regularly are created by one person – CCP Loki – who is making them next to the actual work he is supposed to do. Many EVE players do not necessarily care for the lore, just as many have no interest in the Alliance Tournament and consider it a frivolous waste of time for the sake of a few self-appointed “elite PvPers”. I would argue against dismissing those niche aspects of the game too casually because I consider them to be things which give the game exposure among others who might need something to draw them to it. While EVE is certainly not dying, it is also not graced with a major influx or retention of new players. Everything that brings the game to the attention of potential newcomers is important under those circumstances. I have argued a lot against the merits of massive fleet fights between nullsec powers as a marketing tool for EVE, but I also acknowledge the fascination they create and the potential they represent. Just because that is not – or no longer – the way I want to play EVE does not mean that others who do so can be dismissed. The great thing about this game is the manifold ways it can be experienced and engaged with. That is what I hope it never loses. From what I hear, CCP are behind keeping it that way, and they know their players are a key factor for maintaining the odd fascination this game managed to create over the course of 15 years, and still does. Indeed, this Fanfest left me with an ambivalent feeling. On one hand, I did notice all the sombre aspects of this year’s event and I wrote about several of them here, on the other hand, I returned from Iceland with the desire to engage more with the game again. This is – after all – the first EVE-related article I have written in a year, and tonight I will log in again for the first time in many months to join a fleet. I can probably be counted among the so-called bittervets with my 10 years of playing. Not in the least because I have many criticisms and problems with the way CCP has conducted their affairs. Despite this, I am also still with them, their game, and the community that has formed around it.